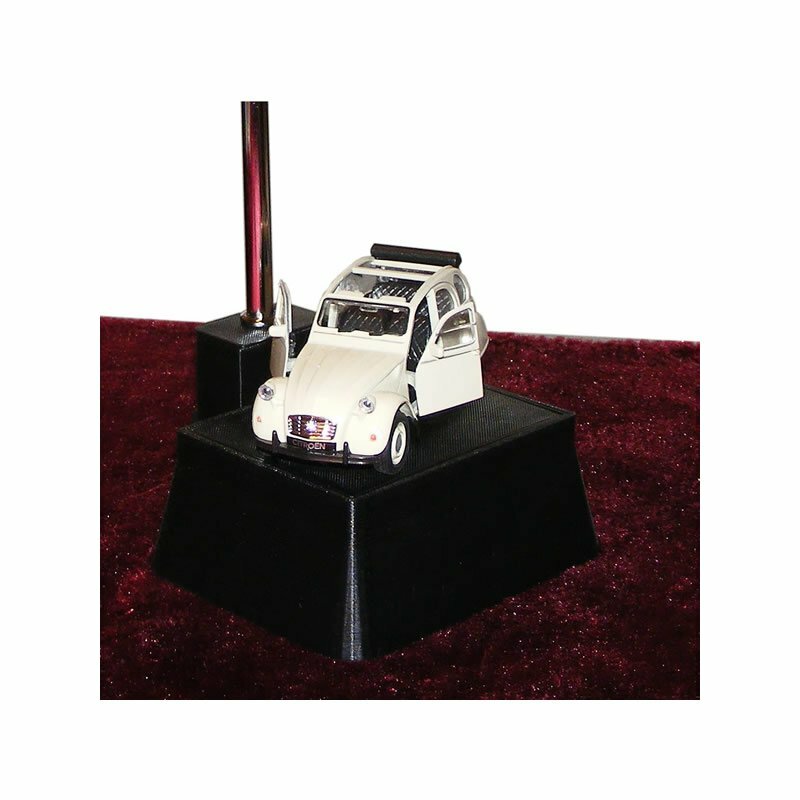 A desk or table display lamp with a diecast 1:34 scale model of a Citroen 2CV. The Citroen 2CV model has an open sunroof and is finished in cream with silver lining. Both front doors open and the model has a steering wheel, sun visors, rear view mirror and windscreen wipers in its detailing. The 2CV measures approximately 11.5cm (4.5") x 4.5cm (1.75") x 4.5cm (1.7") high overall.